It may be a decade until the Lower Thames Crossing (LTC) comes to fruition but an ambitious bid to build a state-of-the-art tram system connecting north Kent and Essex remains on track. The proposed £600 million KenEx Thames Transit aims to combat congestion and air pollution on both sides of the Thames and serve major developments like Ebbsfleet Garden City and The London Resort. Designer Gordon Pratt, an financial accountant, has in the past week been making what he hopes will prove to be some positive steps towards it becoming a reality. 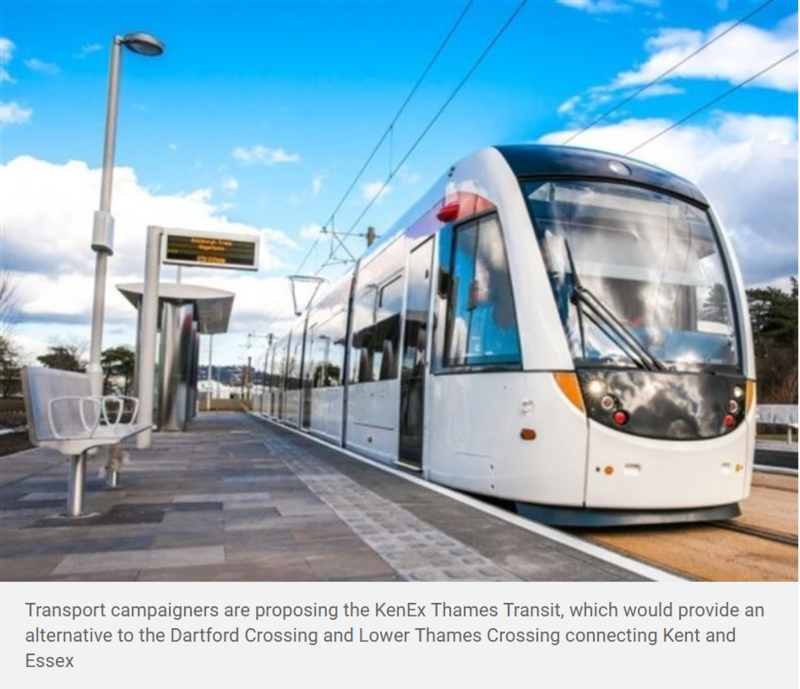 Transport campaigners are proposing the KenEx Thames Transit, which would provide an alternative to the Dartford Crossing and Lower Thames Crossing connecting Kent and Essex He said: “We are progressing. We have had meetings with local authorities on both sides of the river and a site visit to the Swanscombe Peninsula. KenEx, which would run under the Thames from Grays into Kent, would be wholly commercially funded and carry an estimated 58 million journeys to Bluewater annually, 36m to The London Resort, 53m to Lakeside and 2.5m to Ebbsfleet International. The multi-billion pound LTC, meanwhile, promises to improve vehicle capacity for vehicles heading over the Thames east of London by 70%, but drilling in the Gravesham countryside only began a few weeks ago and the crossing is unlikely to come to fruition before 2026. Should funding and planning permission be secured for KenEx, the team behind it believe it could arrive far sooner. Professor Lewis Lesley, who was involved in the design of a £25 million tram in Preston, which is now being built, is a firm backer of the project. He explained: “People are being asked to stop using their cars but at the moment there isn’t an option that they will willingly use. “Once people get cars or have an aspiration to have a car, the buses are no longer an attractive mode of transport for them. “But they are still willing to travel by rail and we think would be willing to travel by tram. Although Professor Lesley is a fan of Arriva’s Fastrack service, he sees trams as a step up. He has spent years researching how to get people to use public transport to reduce congestion and sees Europe as a major source of inspiration, with popular and efficient tram services running in a number of countries on the continent. Professor Lesley is confident about the potential of KenEx and different options are being pitched, each following a slightly different route through north Kent. “We are talking to the local authorities about the priorities they might have so that we can do an assessment of all the options and find out which would be commercially viable and best serve the areas,” he continued. 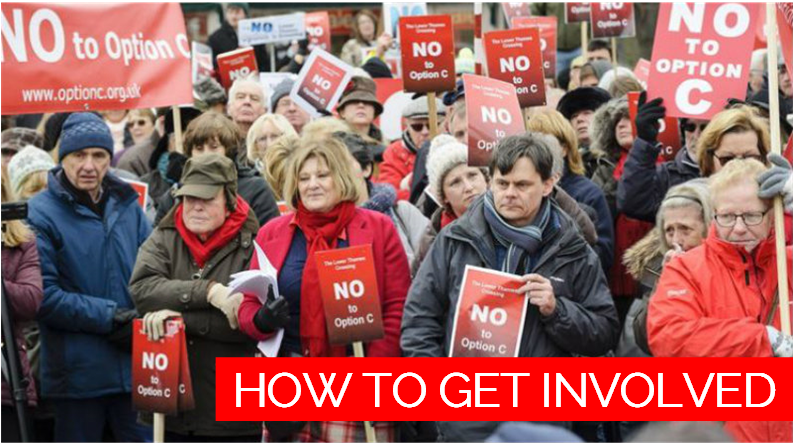 “I am quite sure that at least one or two of these options would be extremely commercially viable. “We would have a tram running each way every six minutes, which is 2,000 passengers going in each direction every hour. Transport campaigner James Willis is also involved with pitching the project to local authorities and gathered positive feedback during a public meeting at The Three Daws pub, Gravesend, earlier this year. He hopes the tram could serve the town and is keen for it to become a reality. 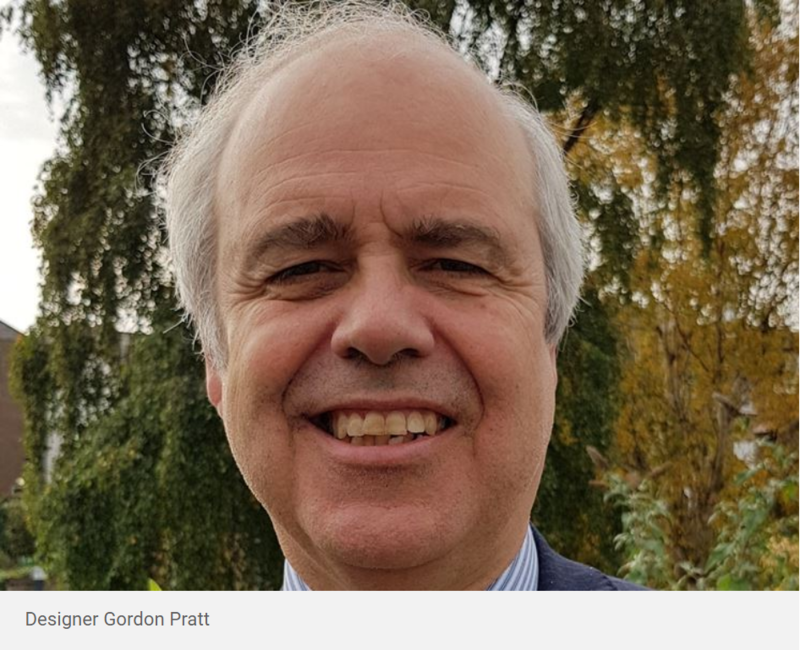 With Professor Lesley’s experience and Mr Pratt’s previous involvement with Brighton Main Line Two, a second railway connecting Brighton with the capital, it certainly has pedigree behind it.